"Rise up and take the power back, It's time that the fat cats had a heart attack"
The Documentary 2 is ranked 6th best out of 10 albums by The Game on BestEverAlbums.com. 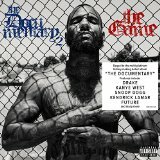 The best album by The Game is The Documentary which is ranked number 4931 in the list of all-time albums with a total rank score of 347. Members who like this album also like: E•MO•TION by Carly Rae Jepsen, Take Care by Drake and 4:44 by Jay-Z. Middle East - Corner/Bakery, Cambridge, United States. Middle East Downstairs, Boston, United States. The Van Buren, Phoenix, United States. Related links: top tracks by The Gametop tracks of the 2010s, top tracks of 2015. Showing latest 5 ratings for this album. | Show all 14 ratings for this album.